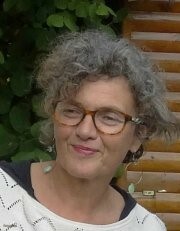 Mariette Grange, Senior Researcher at the Global Detention Project, is a researcher and human rights practitioner. She co-established the Amnesty International office to the United Nations in Geneva and later provided leadership to Human Rights Watch during the institution-building years of the Human Rights Council. She worked on migrants and refugee operations at the World Council of Churches and the International Catholic Migration Commission and on emerging issues at the International Council on Human Rights Policy. She did research on UN treaty bodies and produced pilot training material for the Office of the High Commissioner for Human Rights. Mariette acts as an advisor and trainer and participates in academic projects and inter-governmental processes. “Les Dilemmes de l’Organisation Internationale pour les Migrations [The Dilemmas of the International Organisation for Migration],” (M. Grange and A. Pecoud), The Conversation (France), 3 July 2018. “The Migrant Workers Convention – a pivotal protection tool for migrant workers in immigration detention.” In Shining New Light on the UN Migrant Workers Convention, edited by A. Desmond & N. Piper. Pretoria: Pretoria University Law Press, forthcoming December 2017. “Alternativas al Internamiento de Inmigrantes en Situacion Irregular.” Mugak (Centro de Estudios y Documentacion sobre Racismo y Xenophobia). No. 64-65. Tercer/cuarto trimestre 2013. “Smoke Screens: Is There a Correlation between Migration Euphemisms and the Language of Detention?”, Global Detention Project Working Paper No. 5, September 2013. The relevance of the Convention on Migrant Workers for the Middle East, December 18, April 2010. The Role of the civil society in campaigning for and using the Convention in Migration and Human Rights: The United Nations Convention on Migrant Workers’ Rights, by Ryszard Cholewinski (Editor), Paul de Guchteneire (Editor), Antoine Pecoud (Editor) co-authored with Marie d’Auchamp, Cambridge University Press, 2009, pp 70-99. Droits de l’homme et migrations : l’émergence d’un enjeu international, in Hommes et Migrations, « La Convention des Nations Unies sur les droits des travailleurs migrants: Enjeux et perspectives », n° 1271, January-February 2008, 173 p, Cité nationale de l’histoire de l’immigration, pp 120-129. How to Strengthen Protection of Migrant Workers and Members of their Families with International Human Rights Treaties: a do-it-yourself kit, International Catholic Migration Commission, 2006. Importancia e impacto de la Convención Internacional sobre la Protección de los Derechos de los Todos los Trabajadores Migratorios y de sus Familiares, in Derechos Humanos de los Migrantes, Programa de Cooperación sobre Derechos Humanos, México-Comisión Europea, Veracruz, Mexico, 2005, pp 43-52. Regional Migration Consultative Processes: where is civil society?, in Asian Migrant Yearbook 2002-2003, Asian Migrant Centre, Migrant Forum in Asia, Hong Kong December 2004. Entrevista, Treballador migrant, Drets del Migrants, Mes a prop de Caritas, Caritas Diocesana de Barcelona, September 2003, Number 21, pp 12-13. Lobbying Tips at the International Level and From Grassroots to International: The Role of Migrant Rights NGOs in International Advocacy in a World on the Move: A Report on the 2001 UN World Conference Against Racism, Racial Discrimination, Xenophobia, and Related Intolerance, A Resource Guide on International Migrant Rights, National Network for Immigrant and Refugee Rights, 2002, Oakland, California, USA. Les femmes, au cœur des migrations internationales, in Migrations et Pastorale, Mai-Juin 2002, n° 298, Paris. The World Conference against Racism, Racial Discrimination, Xenophobia and Related Intolerance, 31 August – 8 September 2001, Durban, South Africa. A report by the International Catholic Migration Commission, co-written with Marilou Suplido, March 2002, Geneva. Trafficking in Persons: A Special Reference to Women and Children, in UN High Commissioner for Refugees.NGO Manual on International and Regional Instruments Concerning Refugees and Human Rights, July 1998, European Series, Volume 4, No 2, 1998/07, pp 305-324.